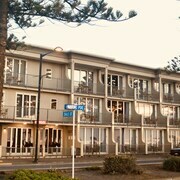 Loved the location - the walk to Napier was pleasant (along the coastline), and Ahuriri is an interesting little place. 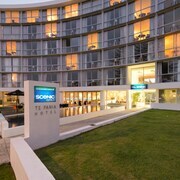 Napier, Wineries, Mission Estate Restaurant, West Shore Beach walks, W Quay restaurants, Te Mata Peak. Centrally located it was easy to get around Napier by foot which was convenient. 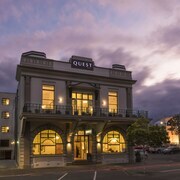 This is an especially convenient place to stay for walking anywhere in the center of Napier. 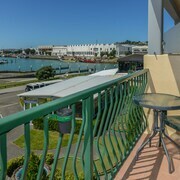 This motel is on the northern side of Napier away from the bustle of the town centre but is a comfortable walk to some lovely waterfront cafes and a dairy. 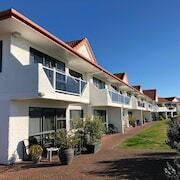 My Husband and I spent two days last week at Motel de la Mer in Napier and enjoyed it very much. 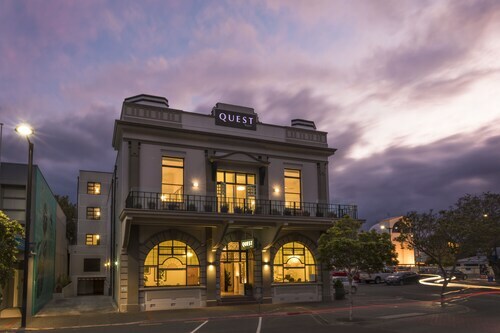 The location of this hotel is perfect for a stay in Napier as it is walking distance to shops, restaurants, cafes, tourist activities, the beach, theatre, cafes. The staff are delightful and the place is immaculate. The restaurant in the hotel is excellent but only serves lunch and dinner, The only negative is the car parking area is ver small awkward to use. When you walk around this pedestrian-friendly city, you won’t be able to miss the stylish buildings. The city was demolished by a terrible earthquake in 1931, and the entire city was built up with art deco flavours. Even today, the city is a hot draw for architectural enthusiasts, particularly during the annual Tremains Art Deco Weekend event every February. Water and shipping are a way of life in Napier, especially on the humid summer days. Popular water activities include swimming, sailing, and fishing in the bay. Pandora Pond and Marine Parade are popular destinations for families looking for a little aquatic fun. Don’t forget to snap your own picture of Pania of the Reef, the most popular statue in the whole city, which is proudly on display on Marine Parade. Other popular family destinations include the National Aquarium and Napier Prison, the oldest prison in New Zealand, which has now become a tourist attraction. The Napier region is also home to over 70 wineries and produces world-class vintages every year. If you love your vino, take some time to go on a wine tour. The nightlife is good in Napier. Visitors can enjoy a range of high-class restaurants, stylish cafes, and welcoming pubs. Local bands and theatre groups put on regular shows for those who love the arts. 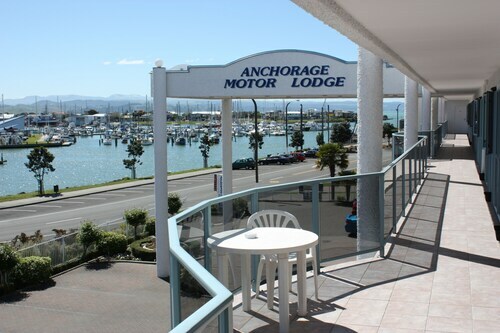 Napier offers plenty of options to visitors, including hotels and motels to meet most budgets. If you want to feel spoiled, you can splurge on a luxury hotel or lodge. 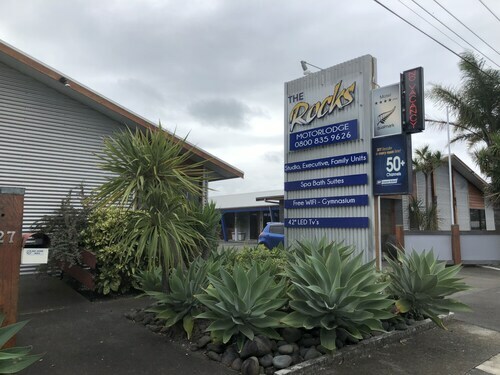 Couples can stay in late at enchanting bed and breakfasts, while budget travellers have several backpacker hostels and holiday parks to choose from. 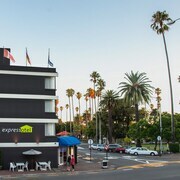 Napier is served by Hawke’s Bay Airport, which receives domestic flights from Auckland, Wellington, Christchurch, and a few smaller cities within New Zealand. The city itself is served by State Highway 2 and State Highway 5. Napier has built up a good cycling and pedestrian infrastructure, which makes it easy for walkers and cyclists to transverse the city. 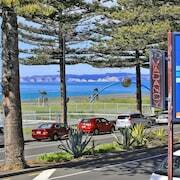 Still, if you’d rather see things at your own pace, consider renting a car in Napier. 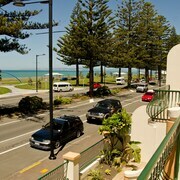 You don’t have to spend hours looking on every hotel’s website to find the best deal for your holiday to Napier. 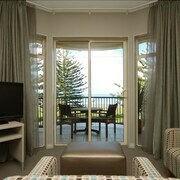 Just visit Expedia.co.nz, and you can quickly and easily compare lots of hotels all in one place. Expedia also lets you compare flight prices and even rental car agencies, so you can save big. 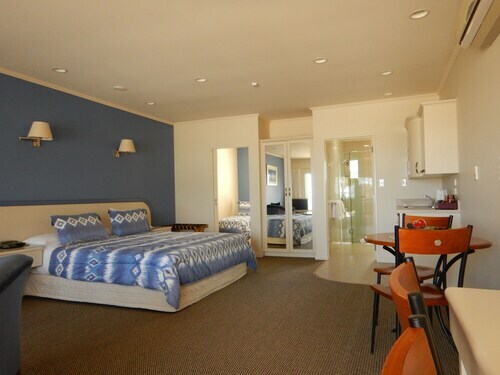 From luxury accommodation in Napier to more modest motels, you can book everything right through the site. Give Expedia a try today. 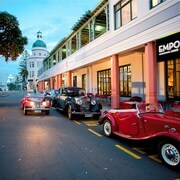 Explore Napier with Expedia.co.nz’s Travel Guides to find the best flights, cars, holiday packages and more!